I would like to thank each and every technician who strove day and night to execute ‘Vinaya Vidheya Rama’. 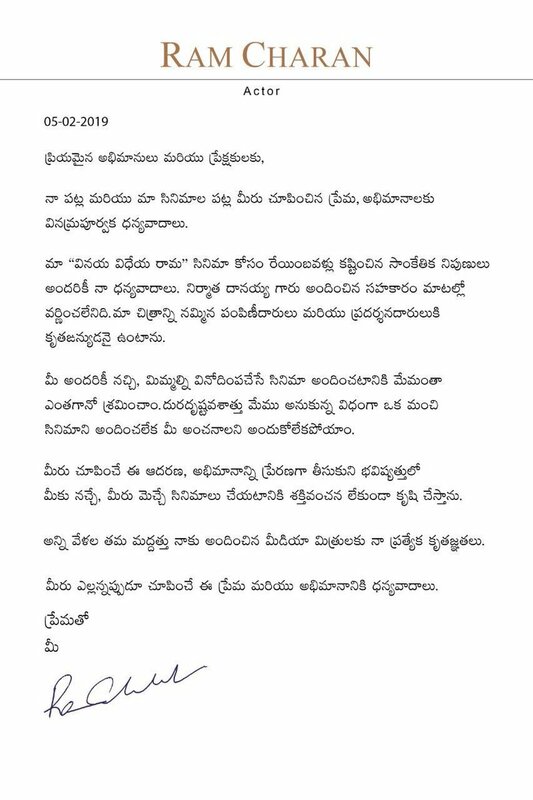 No amount of words are sufficient to describe the support extended by our producer DVV Danayya Garu. I will always be grateful to my distributors and exhibitors who believed in our film and backed it.